Learn About Joan!! The #1 Agent at RE/MAX Results for 2014!!!! My goal in my Real Estate Profession is to educate the public on "How a REALTOR works." Many people think that a REALTOR is only to "Show Houses!" That is so incorrect. Yes, we do show homes, but that is only one small aspect of this profession. As a REALTOR I spend my time dedicated to you and your needs. To earn the loyalty & trust it takes to continue to build a good working relationship. Sometimes I spend months searching for the perfect property to purchase. Or months promoting and advertising a home For Sale. I work hard for each and every one of my clients and customers. I work diligently with my computer skills and my advertising knowledge to get the job done, and to get it done as quickly as possible so you can get on with your life. Joan's philosophy in her Real Estate Career has always been to help make one of your most difficult decisions, your housing needs, a pleasant experience. Whether Buying or Selling a home, her ultimate goal is to be dedicated in helping you either in Purchasing, or in Selling, to be honest, helpful, and available as many times as necessary. Timing is everything! Joan has had the training and has the technology with computer skills to find properties that become available, or to search for Sold properties for Market Analysis information. To help customers and clients know and understand the process and the Market, to assist in the Lending process and to answer questions that may arise from present and past experiences in a Real Estate transaction. Joan was nominated in 1997 for the Merit Award from the REALTOR Association of Bay County, and ultimately won the Award in 1998. This Award is given to the individual who has been Outstanding in Service, and for their Contribution to the Real Estate Profession. While with Hollister REALTORS Joan was one of theTop Salespeople for years. Ranked #2 in 1997, 1998, 1999, 2000, 2002 and 2003. 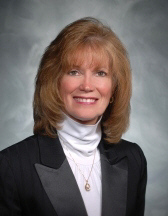 While at Hollister REALTORS Joan was consistently one of their top agents. When Hollister Realtors closed their office, Joan again was the Top Agent for 2 years at Harris Bush Realty, and now one the top Agent at RE/MAX Results. Your Educational, Technical, and Professional Source for all your Real Estate Needs!! A proven Leader in Real Estate Sales since 1993, with C.R.S., G.R.I. and A.B.R.and e-PRO designations. A lifelong Essexville resident, Joan is active in the community. In her church, as a choir member and Cantor for several years. Also for the Board Of REALTORS with committee work, past Chairman of the Education Committee and a member for eight years on the Public Relations Committee and Chairman of the committe for 2010. Also volunteers for the Paint and Pride Program and Business People Reading to Students each year. Joan, I want you to know that you do a great job. You are honest, dedicated, a very hard worker, and great at what you do. Thank you so much. Joan, We want to express our sincere thanks to you for all your help in selling our home. You were terrific! Dear Joan, Thanks for all your expertise. You dotted every "i" and crossed every "t" with loving kindness. You are such a special person.